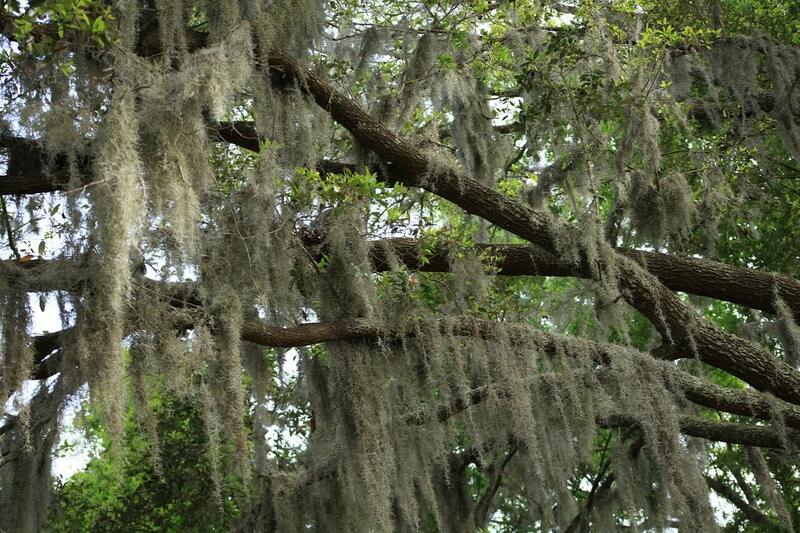 Tree Service FAQs: Is Spanish Moss Hurting My Trees? Gainesville epitomizes the southern charm of north Florida, right down to our stately, Spanish moss-draped oak trees. As a Gainesville tree service company, we are often asked if that scenic moss gracefully trailing off the trees is harmful. 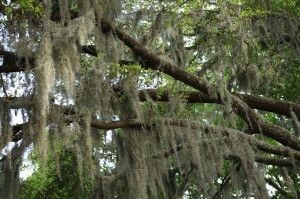 If you’re worried about the effects of Spanish moss on your trees, don’t worry- the moss will not harm a healthy tree. Read on to learn more about how the moss impacts trees, and give us a call at 352-682-4444 to discuss your tree care needs. There are many misconceptions about Spanish moss, from the name itself (no, it’s not actually moss) to its perception as a parasite. The truth is that Spanish moss is an epiphyte- a plant that grows harmlessly on another plant, deriving moisture and nutrients from the air, rain, and in some cases from the debris that accumulates around it. Epiphytes do not take anything away from the trees they are located on, and under normal circumstances pose no threat to the health of the tree. In most cases, you don’t need to remove Spanish moss from your trees. However, excessive Spanish moss, while not the cause of the problem, may be a sign that your tree is in distress. If your tree is not in good health, whether due to pest damage, root problems, or construction injuries, it may have struggling foliage. In that case, Spanish moss may fill the void, in turn causing the tree to struggle even more. But remember, removing all of the moss from a struggling tree will not solve the problem. You will need to identify and treat the root cause of the tree’s problem or else it will continue going downhill, moss or no. Trees are an important element of your landscaping and curb appeal, an important part of our environment, and can even reduce your energy bills, so don’t let a struggling tree die without a fight. Contact Mr. Tree and Lawn Service today to discuss your tree problems and get an estimate on our Gainesville tree services, from tree trimming to tree removal.